Charismatic Roman Catholic cleric, Rev. Fr. Ejike Mbaka of the Adoration Ministry, Enugu, has finally talked about the leader of the Indigenous People of Biafra (IPOB) Nnamdi Kanu and the agitation for withdrawal. The infulential cleric additionally stated that Kanu and the other Biafra fighters, ought not be the ones in the forefront of the battle. 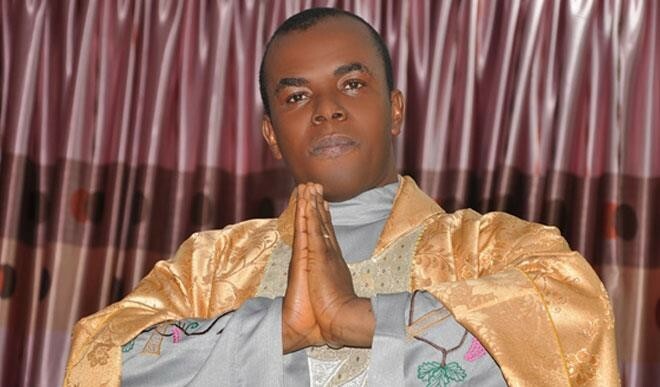 Mbaka stated: "No one ought to deceive you saying that 'Igbos are hated'. That's the manner by which we (Igbos) believe babble. The poor masses are advised to agitate for Biafra. "There is nothing incorrectly in Biafra. In any case, those that say they need Biafra now (or never) should turn out let us see the crème of the Igbos then we as a whole will push for Biafra. "Let the crème de la crème among the Igbos be at the forefront while the poor masses that loiter the streets in the name of Biafra will support from behind. "The best thing is for guardians to shield their children from peril. I am not against Biafra but rather let the Igbo political elites; the Ubas of Anambra, Peter Obi, Ekwueme, Ekweremadu, Nnamanis, Sullivan Chime, Anyim Pius Anyim, I (Mbaka) and so forth ought to be the ones pushing for Biafra not our children who get killed on the streets consistently. "Where are the Igbo political elites? They are in hiding in Abuja and abroad. "They have sent these children to push for Biafra and they have gone in hiding. That is not leadership. A leader ought to be in front to take bullets for his followers similarly as Christ willingly gave his life for his followers. A leader is not one who will sit and give up the poor for his desire."